About: Alarm & Home Security Systems: Kingsville, McAllen, Portland, TX. About Dynamark Security Centers: Access Control, Alarm & Home Security Systems, CCTV & Surveillance Cameras, Fire Alarm Systems & more in Alice, Corpus Christi, Harlingen, Kingsville, McAllen, Portland, TX and all of South Texas. We founded Dynamark Security Centers back in 1990 because we wanted to make a meaningful contribution to the Corpus Christi and surrounding communities. We know that injuries and fire damage can be limited through the implementation of the proper prevention techniques. The same thing can be said of home and business security breaches. An ounce of prevention can be worth a pound of cure. We recognized the value of fire safety and home security early on, and we have done everything possible to provide effective solutions since the day that we opened our doors. Experience is something that you can’t buy or teach, but at the same time, you have to keep yourself up-to-date as things change over the years. This is true in any business, but it is particularly true in the fire alarm and security industry. Computer technology has advanced exponentially, and the modern high-tech systems that are commonplace today would have been unheard of when we started out. Fortunately, we have recognized this upward technological spiral every step of the way, and we have steadily evolved. Our home security and fire detection and alarm solutions are truly state-of-the-art, and we also have a thorough understanding of the home automation systems that have become very popular of late. By implementing Honeywell’s Total Connect, users can control their security from anywhere. With a compatible thermostat, you can control the heating and cooling settings as well. Don’t go on a vacation again thinking you forgot to turn down the heat or set the alarm. Many things have changed, but some things have stayed the same. 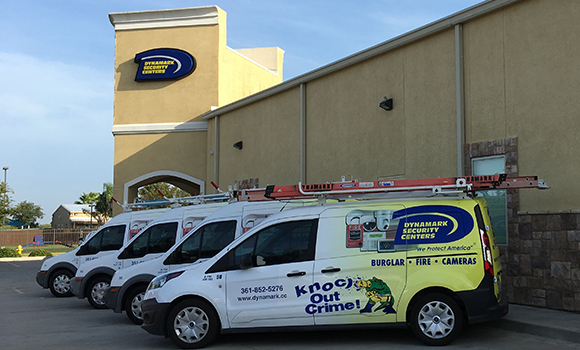 We founded our business on a commitment to our Corpus Christi neighbors, because we truly care about their safety and security. The systems that we install are more advanced, but we still provide the same level of sincere, down to earth, one-on-one customer service. That’s something that will never change.